Oriental Medicine Is The Oldest And Most Effective Continually Practiced Professional Medicine In The History Of The World! Traditional Chinese Medicine...Oriental Medicine Is Holistic Medicine At Its Best! Traditional Chinese Medicine also known as Oriental Medicine is at least 4,000 years old and as such it is the most effective medical system, but it is also the oldest, continually practiced professional medical diagnostic, treatment and preventative medical system in the history of the world. Chinese Herbal Medicine - The most sophisticated scientifically validated system of herbal knowledge over 4,000 years old. Please click here for more information on Chinese Herbal Medicine. Dietary recommendations and food therapy. Please click here for more information on Chinese Food therapy. Chinese And Oriental therapeutic massage and bodywork...Tui-Na, Gua Sha and cupping are examples. Meditation - which the ancient practitioners said was actually the most important and powerful part of this medicine. Chinese therapeutic exercise...Tai-Chi or Tai-Qi and Qi Gong. Licensed Acupuncturists, L'AP, L'AC, AP, DOM, OMD are the primary practitioners of TCM Also known as Oriental Medicine in the United States. Acupuncture is a healing technique of Traditional Chinese Medicine that is based on understanding and manipulating the movement of the healing energy or Qi in the body. A masterful Acupuncture Physician, such as I am, directs the healing energy of the body to problem areas by inserting in a way that is pain free very fine (hair thin), solid, single use, disposable needles into specific points, which have been meticulously mapped and studied over thousands of years. For people who are reluctant to try needles, many practitioners of Chinese Medicine utilize effective stimulation of acupuncture points with techniques that do not involve the use of needles, including acupressure, gentle tapping, heat, color, and vibration. But the insertion and retention of the needles all in the body at the same time for a certain period of time provides the most powerful healing. Please click here to get answers to your questions about acupuncture. 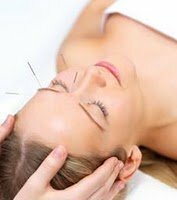 If you are following on the path of the Holistic Medicine Detective, you have already explored acupuncture for clues to health maintenance and restoration. Chinese Herbal Medicine is one of the safest and most effective healing modalities in the world today. 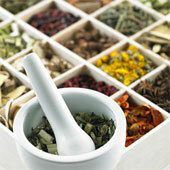 Please click here for more information on Chinese Medicinal Herbs. Please click here to learn about how Chinese medicinal herbs compare in safety and effectiveness to pharmaceutical medications or drugs. If you are following on the path of the Holistic Medicine Detective, you have already explored Chinese Herbal Medicine and how it compares to Pharmaceutical drugs for clues to health maintenance and restoration. For over 4,000 years the practitioners of Traditional Chinese or Oriental Medicine realized that food is the foundation and root of all health good and bad. Dietary recommendations and food therapy became so widely accepted by the larger population that to this day in China and other parts of the Orient in some restaurants you can order a meal that will benefit the condition or conditions you have been diagnosed with. Please click here for more information on Chinese Food therapy. If you are following on the path of the Holistic Medicine Detective, you have already explored Healthy and Healing Food for clues to health maintenance and restoration. Chinese And Oriental massage and bodywork is an important and effective part of Chinese Medicine to assist the body's healing processes. Chinese and Oriental Massage and Bodywork Terms: Tui Na, Gua Sha, "cupping" and Shiatsu massage. Please click here for more information about cupping as a powerful technique to heal respiratory conditions. Many licensed practitioners of Oriental Medicine or Traditional Chinese Medicine are expert in many forms of Chinese and Oriental Massage and Bodywork. Even many modern practitioners of Traditional Chinese Medicine or Oriental Medicine do not realize this, but the ancient healing masters of these arts considered meditation to be the most important of all the other healing modalities in their Medicine. Dr. Eichenauer is and has been a practitioner of meditation since 1984. Ask him to teach you the basics of meditation, since this is the most powerful long term reliever of stress known to humankind. It's as easy as learning how to relax your mind and body...which is very easy, really! If you know anything about the Martial Arts, as we see in movies today, you know most of that began in the Orient. These martial arts includes Kung Fu, Karate, Tai Kuan Do, and others. However, many people do not know that martial arts begins with basic movements that are healing. Today these are called Tai Chi and Qi Gong. 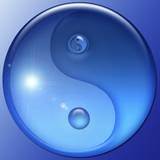 Qi Gong combines movement with meditation and is a very powerful healing modality. Anyone can learn to improve their own health by learning Tai Chi and or Qi Gong. Get The Treatment You Need At My Clinic! Do you want the best of Traditional Chinese Medicine also known as Oriental Medicine? Come to my Acupuncture And Holistic Medicine Healing Center. Serving the local communities of Bradenton, Sarasota, Osprey, Nokomis, Venice, and North Port, Florida, and those who visit us from all around the world. If You Are Following The Path Laid Out For You By The Holistic Medicine Detective, Then You Have Come To The Right Place For Your Next Clue And Destination! You need to know a little bit about "cupping" to alleviate lung problems...Please click here to learn about Cupping and Lung problems. Please click here to return to the top of my Oriental Medicine also known as Traditional Chinese Medicine page.